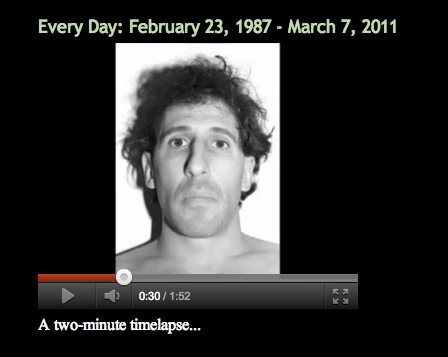 Karl Baden has a video collapsing his epic Every Day project into a two-minute time-lapse on his blog site. This on-going project consists of "a reasonably detailed visual record" of his own face in the form of a black and white photograph taken every day since February 23, 1987. The video contains images through March 2011.